IMPORTANT-READ CAREFULLY: This Sound Infusion End-User License Agreement (or “EULA”) is a legal agreement between you (either an individual or a single entity) and Cultural Infusion. (“Sound Infusion”) for the Sound Infusion Audio Content you have licensed which includes the following: (i) designed sound loops, (ii) source sound files and (iii) any printed, “online” or electronic documentation (altogether: “CONTENT”). By licensing, copying or otherwise using the CONTENT, you agree to be bound by the terms of this EULA. If you do not agree to the terms of this EULA, do not use the CONTENT. Copyright laws and international copyright treaties, as well as other intellectual property laws and treaties protect the CONTENT. The rights granted herein are non-transferable and must be validated by proof of purchase. All rights not expressly granted to you hereunder are reserved by Cultural Infusion. In consideration of the license fee (“LICENSE FEE”) you paid, Cultural Infusion grants a “MEDIA LICENSE” to you and your assigns (subject to the transfer limitations herein). All CONTENT provided hereunder is licensed, but not sold, to you by Cultural Infusion, for commercial and non-commercial use in any means and media now known or hereafter devised (e.g., music, sound-effect, audio/video post-production, performance, broadcast, multimedia, videogame or similar content-creation and productions, and any promotion or advertising related thereto) that are produced by you during the TERM of this AGREEMENT (altogether: “PRODUCTION”), worldwide. The TERM of this AGREEMENT is either perpetual (BUY OUT license) or limited in years as defined below through the TERM of the SUBSCRIPTION (SUBSCRIPTION license). This AGREEMENT includes the worldwide, royalty-free, non-exclusive right to combine or sync the CONTENT into such PRODUCTIONS without (i) paying any additional license fees to Cultural Infusion or any third party other than the License Fee set forth herein; (ii) obtaining additional clearances or permissions; or (iii) providing source attribution to Cultural Infusion or any third party. The MEDIA LICENSE includes mechanical, synchronization, public performance and broadcast rights. The MEDIA LICENSE grants the worldwide and limited right to you to use, re-record, duplicate, incorporate, modify, adapt, embed, and exploit all or a portion of the CONTENT without further payment to Cultural Infusion or any third party (royalty free) in your PRODUCTION for the TERM of this AGREEMENT. The CONTENT may be reproduced by you provided that the PRODUCTION contains an additional element: i.e. voice, music, image, etc. All sound samples cannot be sold, looped or used commercially or non-commercially as a standalone audio track. However, you may incorporate a sound sample as a part of another existing audio track or incorporate multiple sound samples as part of a novel track creation. Cultural Infusion must be cited and acknowledged in any commercial or non-commercial contexts in which a sound sample has been incorporated into an already existing track or a novel audio track. Examples of allowed uses are, without limitation, inclusion in radio programs, podcasts, mobile apps, television broadcasts, film soundtrack, music albums, PowerPoint presentations, websites, advertising, multi-media presentations, video games and other similar products. We do offer two ways of purchasing a valid MEDIA LICENSE: as a SUBSCRIPTION or as a BUY OUT. Altogether payments for the purchase of the MEDIA LICENSE either as a BUY OUT or as a SUBSCRIPTION are defined as the “LICENSE FEE” in this agreement. Any rights to the CONTENT as stated in the MEDIA LICENSE are only transferred to you after the full LICENSE FEE has been paid by you and received by us. Without receipt of the payment of the LICENSE FEE, you do not own a valid MEDIA LICENSE. Upon full payment of the LICENSE FEE the MEDIA LICENSE is granted to you in perpetuity. The TERM of the SUBSCRIPTION shall commence upon receipt of the first yearly LICENSE FEE payment. The minimum TERM of a SUBSCRIPTION is 3 (three) years. The LICENSE FEE is to be paid as a yearly upfront payment. The SUBSCRIPTION TERM automatically extends for additional 12 months periods, if the SUBSCRIPTION is not cancelled in writing (email sufficient) at least 7 days prior to the next auto-renew date. For each additional 12 months period, the yearly upfront payment of the LICENSE FEE is due. All rights to CONTENT are terminated at the date the TERM of the SUBSCRIPTION expires (except as defined as “Sustained Use” in the GRANT OF LICENSE). Upon expiration you shall delete all CONTENT from the hard drives and any other storage media, physical or otherwise or any other copies no matter how stored (other than in and in connection with any PRODUCTIONS). This license expressly forbids any unauthorized inclusion of the CONTENT or new audio content derived from or based on the CONTENT or new audio content resulting from mixing the CONTENT with other audio content in whole or in part in any library (e.g. 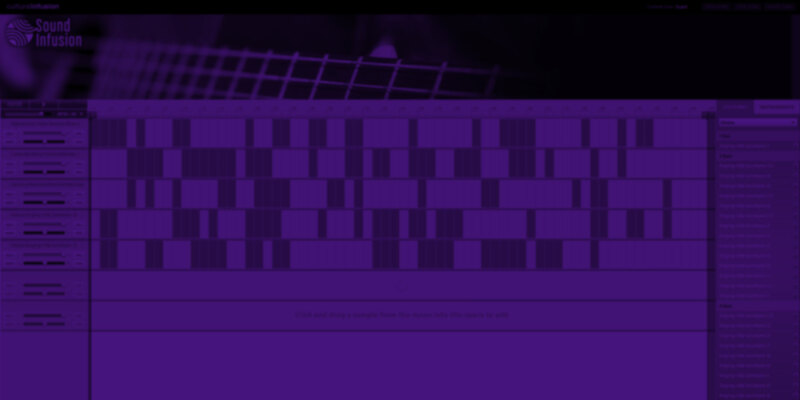 sample instrument, sound effects library, music library as single accessible stems, etc.) online or offline without our express written consent. In case you want to include our CONTENT in any such way, please contact us to obtain an AUDIO DEVELOPER LICENSE to our CONTENT. Use additional musical elements (can be non-tonal, percussive only), like cymbal sweeps, whooshes, etc. Mix Sound Infusion sounds with these other sound sources in the stem mix, so that no Sound Infusion sound is “naked” in that stem mix. Cultural Infusion owns and controls the rights represented herein with respect to the CONTENT that are subject to this Agreement. Cultural Infusion has and will hold throughout the Territory and States and during the Term the above listed rights to exploit the CONTENT as set forth herein. Cultural Infusion shall indemnify and hold you harmless from any and all claims, liabilities and costs, losses, damages or expenses (excluding attorney’s fees) arising out of any breach of these representations. Cultural Infusion is not liable for any damages whatsoever (including, without limitation, damages for loss of business profits, business interruption, loss of business information, or any other pecuniary loss) arising out of the use of or inability to use any Sound Infusion product, even if Cultural Infusion has been advised of the possibility of such damages. Cultural Infusion will not be responsible if the CONTENT does not fit your purpose. The CONTENT is licensed ‘as is’ without warranties of any kind. Any similarity to any other CONTENT is purely unintentional. Cultural Infusion cannot be held responsible for any direct, indirect, or consequential loss arising from the use of any sound samples and software licensed from this site in whatever form, or consequential loss arising from a delayed or lost shipment. Cultural Infusion does not accept returns unless you have a defective product. Defective products will be exchanged for the same product for a period of 90 days. No refunds will be given for downloaded CONTENT. After payment (see: LICENSE FEE) has been received you will automatically get an email with download links to the products purchased. If you purchase a boxed product it will be sent to you within 14 days after payment. If you choose the credit card payment option, your card will be debited immediately after the order has been fully placed. INTERNATIONAL CUSTOMERS AGREE TO BE RESPONSIBLE FOR ANY IMPORT DUTIES OR TAXES. THESE ARE NOT INCLUDED IN OUR SHIPPING CHARGES. Downloaded libraries can’t be returned, so we can’t provide refunds. We may choose to do so at our own discretion, but please be aware that as soon as you’ve downloaded it, you can’t return it. There will be no refunds for subscription cancellations although you may choose not to renew your subscription after the expiry date. In the event you choose not to renew your subscription you will still have full access to the Sound Infusion product for the remainder of the current subscription period. Users who try to get past the copy protection or otherwise violate the terms of this licensing agreement are subject to criminal and civil penalties and liable for monetary damages. Please respect our work and do not copy it. The more support we get from you, the more and the better products we will be able to release in the future. By purchasing this product, you agreed below to the terms of this agreement, you agreed to the terms, conditions and limitations of use contained in this agreement. You purchased a license to use copyrighted Sound Infusion audio files from Cultural Infusion. The rights associated with this license are available to you only. The license for this product is granted to you only as a single user license. If you need to purchase a multiuser license, please refer to the multiuser license agreement (MULA) or contact us directly. The license for this product can be granted as a SUBSCRIPTION or as a BUY OUT, depending on the License Term stated below. The license is nontransferable, which means you cannot sell or give another individual or entity the right to use the audio file. Unauthorized resale of Sound Infusion audio products is prohibited. You may not sell, lend, or giveaway, any of the licensed audio files, in whole, part, to third parties. Licenses to companies or entities, such as corporations, partnerships, and trusts, are available under separate terms and conditions. Please contact Cultural Infusion for details. All rights not expressly granted are hereby reserved. Cultural Infusion granted you the conditional right to use all or a portion of the licensed audio files in your own product without further payment (royalty free). The sounds licensed under this agreement may be reproduced by you, provided that your product contains an additional element: i.e. voice, music, image, etc. Examples of allowed uses are inclusion in self-produced radio programs, podcasts, mobile apps, television broadcasts, film soundtrack, music albums, PowerPoint presentations, websites, advertising, multi-media presentations, video games and other similar products. The rights under this license are limited and granted to a single sole user and do not extend to a company. The audio files licensed under this agreement, may not be used in any product that is primarily nature audio and therefore would compete with other present and future Cultural Infusion products. Primarily, for the purposes of this agreement, is defined as containing pure nature sounds (without voice, music, human or machine sounds or other non-natural sounds) for at least 50% of the total elapsed time of the product. Examples of prohibited products would be environmental soundscape albums, internet radio programming consisting of only nature sounds, nature videos without narration, some mobile applications, and ringtones. If in doubt inquire with Cultural Infusion before using. Uses prohibited under this license may be licensed under separate agreement—contact Cultural Infusion for details. Cultural Infusion warrants that it has full authority to license the audio files of its products under the terms of this agreement, and that our products do not infringe on the rights of any third party. In the event of loss or damage of product you may re-order from Cultural Infusion at a nominal fee. Cultural Infusion shall keep a composite list of all licensees. License is bound to the named Licensee. We do offer two ways of purchasing a valid license: as a SUBSCRIPTION or as a BUY OUT. Altogether payments for the purchase of the license either as a BUY OUT or as a SUBSCRIPTION are defined as the “LICENSE FEE” in this agreement. Any rights to the product as stated in this agreement are only transferred to you after the full LICENSE FEE has been paid by you and received by us. Without receipt of the payment of the LICENSE FEE, you do not own a valid license! Upon full payment of the LICENSE FEE the license to the product is granted to you in perpetuity. BUY OUT licenses can only be granted to named individuals, including single person businesses. Any company or business that has more than one member (including founders, members, staff and employees), needs to purchase a SUBSCRIPTION license. The TERM of the SUBSCRIPTION shall commence upon receipt of the first yearly LICENSE FEE payment. The minimum TERM of a SUBSCRIPTION is 1 year. The LICENSE FEE is to be paid as a yearly upfront payment. The SUBSCRIPTION TERM automatically extends for additional 12 months periods, if the SUBSCRIPTION is not cancelled in writing (email sufficient – info@soundinfusion.com.au ) at least 7 days prior to the next auto-renew date. For each additional 12 months period, the yearly upfront payment of the LICENSE FEE is due. In the event of a breach of this agreement, action may be taken against you by Cultural Infusion, the owner of the copyrighted materials, or its successor in interest. Licensee agrees that any court action to enforce the terms of this agreement will occur in the State of Victoria, Australia, or in the current state and county of the registered home office of Cultural Infusion. The non-prevailing party in any action brought for breach of this agreement will be responsible for payment of the prevailing party’s attorney fees, costs, court fees, and resulting damages. The Licensee shall not hold Cultural Infusion responsible for any loss of business or business profits resulting directly or indirectly from the performance of any Sound Infusion product. Cultural Infusion’s liability is limited solely to replacement of the product. IMPORTANT-READ CAREFULLY: This Sound Infusion Multi End-User License Agreement (or “MULA”) is a legal agreement between you as a customer (either an individual, a single entity or a business – hereinafter “CUSTOMER”) and Cultural Infusion. (“Sound Infusio”) for the Sound Infusion Audio Content you have licensed which includes the following: (i) designed sound loops, (ii) source sound files and (iii) any printed, “online” or electronic documentation (altogether: “CONTENT”). By licensing, copying or otherwise using the CONTENT, you agree to be bound by the terms of this MULA. If you do not agree to the terms of this MULA, do not use the CONTENT. Copyright laws and international copyright treaties, as well as other intellectual property laws and treaties protect the CONTENT. The rights granted herein are non-transferable and must be validated by proof of purchase. CUSTOMER shall be entitled to use the CONTENT within the given license specifications (“altogether MEDIA LICENSE”) for the TERM and the number of AUDIO USERS as specified during the purchase process. For the avoidance of doubts, the users can be, without limitation, the employees of the CUSTOMER, CUSTOMERs contractors and subsidiaries, like for example audio programmers, level designers, artist, etc., while AUDIO USERS are defined as employees and/or contractors of the CUSTOMER and sound designers working under written contract of CUSTOMER actively accessing and working with the CONTENT. “WORKSTATIONS” are personal computers, notebooks and digital workstations for audio and post-production which are being used by AUDIO USERS. In the event that an AUDIO USER is no longer employed by CUSTOMER or under written contract by CUSTOMER, all CONTENT obtained under this AGREEMENT, including any incomplete product which in any way uses CONTENT, with the exception of any PRODUCTION (as defined below) must be deleted from the former user’s hard drives and any other storage media, physical or otherwise or any other copies no matter how stored. Copies, in whole or in part, may not be retained by persons who no longer qualify as AUDIO USERS under this AGREEMENT. The CUSTOMER may add AUDIO USERS during the TERMS of this AGREEMENT for an increase of LICENSE FEE prorated to the existing LICENSE FEE either directly (for BUY OUT licenses) or in the following yearly payment (for SUBSCRIPTION licenses). The rights associated with this AGREEMENT are available only to CUSTOMER and its AUDIO USERS. These rights are not transferable or assignable without the express written AGREEMENT of Cultural Infusion except as described below. The MEDIA LICENSE for this product is granted the number of AUDIO USERS as specified by CUSTOMER during the purchase process. The MEDIA LICENSE can be granted as a SUBSCRIPTION or as a BUY OUT. The MEDIA LICENSE grants the worldwide and limited right to you to use, re-record, duplicate, incorporate, modify, adapt, embed, and exploit all or a portion of the CONTENT without further payment to Cultural Infusion or any third party (royalty free) in your PRODUCTION for the TERM of this AGREEMENT. The CONTENT may be reproduced by you provided that the PRODUCTION contains an additional element: i.e. voice, music, image, etc. Examples of allowed uses are, without limitation, inclusion in radio programs, podcasts, mobile apps, television broadcasts, film soundtrack, music albums, PowerPoint presentations, websites, advertising, multi-media presentations, video games and other similar products. For the avoidance of doubt: in case that the MEDIA LICENSE is granted within a SUBSCRIPTION, the MEDIA LICENSE remains in place for sustained use for all your PRODUCTIONS that are produced during the TERM of the SUBSCRIPTION. Any PRODUCTIONS which rightfully use the CONTENT may continue to use the CONTENT and any files derived from CONTENT after expiration or termination of this AGREEMENT in perpetuity. By purchasing this product, you agreed below to the terms of this agreement, you agreed to the terms, conditions and limitations of use contained in this agreement. You purchased a license to use copyrighted audio files from Cultural Infusion. The rights associated with this license are available to you only. The license is nontransferable, which means you cannot sell or give another individual or entity the right to use the audio file. Unauthorized resale of Sound Infusion audio products is prohibited. You may not sell, lend, or giveaway, any of the licensed audio files, in whole, part, to third parties. All rights not expressly granted are hereby reserved. Cultural Infusion grants the conditional right to use all or a portion of the licensed audio files in your own product without further payment (royalty free) to the CUSTOMER. The sounds licensed under this agreement may be reproduced by the CUSTOMER, provided that the CUSTOMERs product contains an additional element: i.e. voice, music, image, etc. Examples of allowed uses are inclusion in self-produced radio programs, podcasts, mobile apps, television broadcasts, film soundtrack, music albums, PowerPoint presentations, websites, advertising, multi-media presentations, video games and other similar products. License is limited to the TERM of SUBSCRIPTION as described below. For Multi User Usages Cultural Infusion only allows for SUBSCRIPTION licenses. Payments for the purchase of the license as a SUBSCRIPTION are defined as the “LICENSE FEE” in this agreement. The TERM of the SUBSCRIPTION shall commence upon receipt of the first yearly LICENSE FEE payment. The minimum TERM of a SUBSCRIPTION is 1 year. The LICENSE FEE is to be paid as a yearly upfront payment. The SUBSCRIPTION TERM automatically extends for additional 12 months periods, if the SUBSCRIPTION is not cancelled in writing (email sufficient info@soundinfusion.com.au) at least 7 days prior to the next auto-renew date. For each additional 12 months period, the yearly upfront payment of the LICENSE FEE is due. For the avoidance of doubt: the right of usage to the audio content put into a PRODUCTION of CUSTOMER during the SUBSCRIPTION TERM remains in place for sustained use in perpetuity. Any PRODUCTIONS which rightfully use the audio content may continue to use the audio content and any files derived from the audio content after expiration or termination of this AGREEMENT in perpetuity.